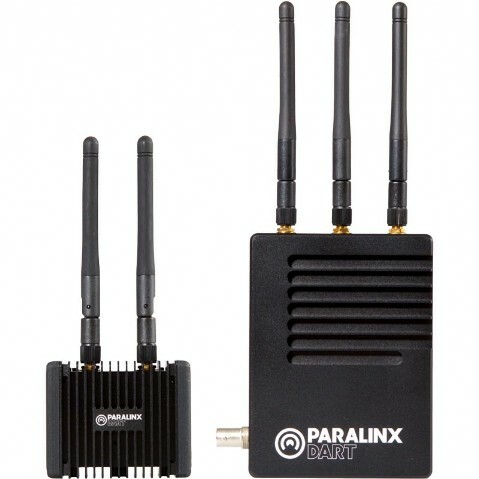 The Paralinx Dart is an incredibly small long-range wireless monitoring solution providing visually-lossless HD video transmission up to 1000ft/300m. Dart ushers in a new generation of ultra-portable 5GHz wireless transmitters designed specifically for mobile action monitoring. 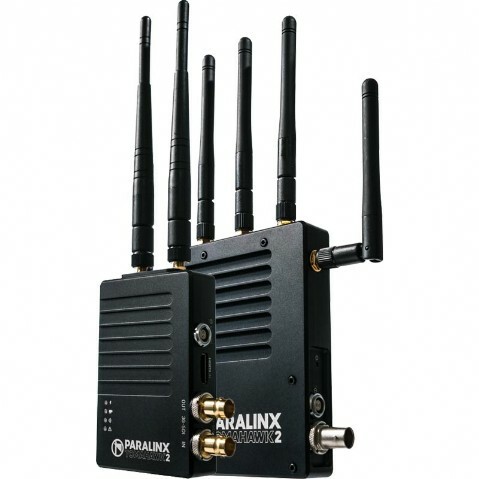 Its integrated LP-E6 battery plate on the transmitter offers up to 2 hours of runtime from a single battery, Dart can be connected to a 2A USB battery pack to keep the system operating for hours on end. The Dart’s transmitter and receiver feature ¼”-20 and 4-40 mounting points to accommodate a wide range of camera accessories, allowing you to easily attach the system to any rig. Its chassis is constructed of milled aluminum and acts as a heat sink to ensure optimal operation in extreme environmental conditions. 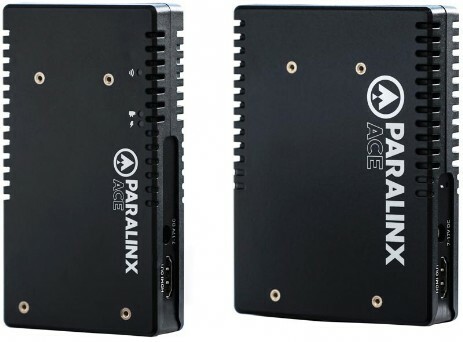 Despite its metal enclosure, the Dart system is strikingly lightweight, 100g (TX), 350g (Rx). Dart’s micro HDMI input supports video signals up to 1080p30/i60 and its receiver outputs to HD-SDI.